A great gift for weather geeks! 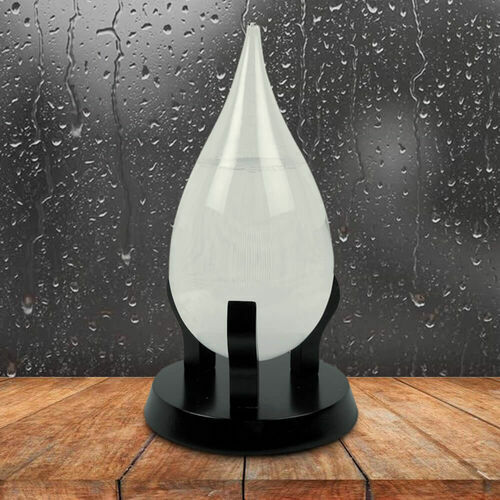 Forecast the weather by observing the beautiful crystals inside this sculptured Fitzroy's Teardrop Storm Glass! Place your beautifully hand-blown storm glass and stand somewhere indoors that is not subject to constant temperature changes. By observing the constantly evolving crystal formations, you can accurately predict the weather! When the temperature and pressure of the atmosphere change with different weather patterns, the water and crystals inside the glass change too! The liquid in the glass is a mixture of several ingredients including distilled water, ethanol, potassium nitrate, ammonium chloride and camphor. It's the perfect gift for weather buffs!